WHAT’S UP IN WILMYWOOD 07/16/2013 – Another star comes to Wilmywood, new ratings for UTD Pilot, Peter Jurasik and more. With Live Plus 7-Day DVR Playback From Live Plus Same Day Averages. The series premiere of UNDER THE DOME surged to 17.76 million Viewers with 7-day DVR playback, according to Nielsen live plus 7-day ratings for Monday, June 24 (10-11PM ET/PT). > +4.23m viewers (17.76m from 13.53m, +31%)…. > +1.6 rating points in Adults 25-54 (6.1 from 4.5, +36%)…. > +1.3 rating points in Adults 18-49 (4.6 from 3.3, +39%)…. ….from live plus same day results. Another great episode last night the UTD folks we tweeting like mad. I would like to especially point out that pig can now fly. Yep, Alex Koch(Junior), who refuses to have a twitter account, is officially a half twit! Jolene Purdy(Dodee) convinced him to LIVE tweet with her! That woman has super powers! I love her so much!! Oh, and look what I got my hands on! 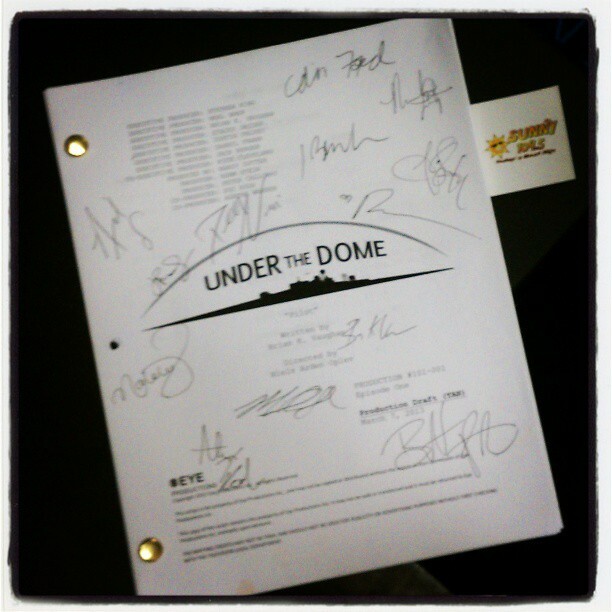 How would you like to own a piece of Under the Dome? It could be your coming this September because we are gonna auction this beautiful autographed script during the Sunny 104.5 Caring for Kids at NHRMC Radiothon to benefit the new hospitality house. More details to come! WECT leaked the news yesterday. Mary-Louise Parker will be our next star to head into Wilmywood as Hallmark gets ready to roll for the TV movie, Christmas in Conway. Production Begins August 5th. We have some great local crew working on this one, including Emmy Young who was named as the Extras Casting Director last week. Oh and FYI, Mary-Louise Parker will be on Kelly & Michael this morning. Out on DVD today is 42. 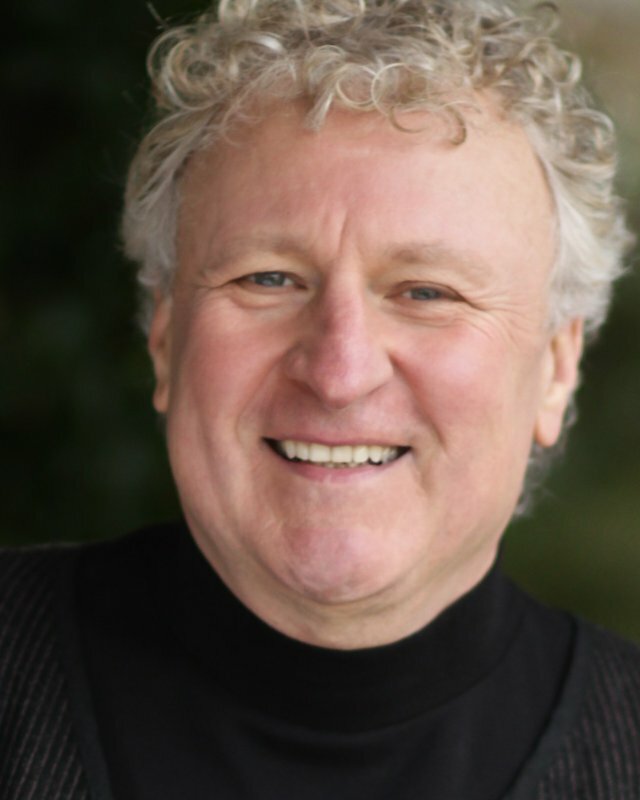 You can see our very own amazing, Peter Jurasik. I asked Peter when the movie was released what it was like to play such a controversial role, a racist in the movie 42. Very well said, Peter. You are a blessing to everyone in this community! Looks like Eastbound and Down is taking over the fun parts of Oleander Drive. The cast and crew heads over to Jellybeans today. There will be over 100 extras in the skating rink. With seven of the cast members, it looks to be a really fun day. The Conjuring was shot here last year and it has finally arrived! The reviews have been coming in for weeks now and the consensus is: THIS MOVIE IS GREAT AND WILL SCARE THE CRAP OUT OF YOU! Yeah, that pretty much sums it up. It’s based on the true story, so that always helps the fear factor. I can’t wait! It opens this Friday! A lot of local actors landed some roles in this flick, so it gives us even more of a reason to see it. UNDER THE DOME: Ratings for Episode 1.4 (Airdate: July 15, 2013) STEADY BABY!